Call it what you want: virtualization, cloud or distributed computing. But the cloud is one of the most innovative technological advances to hit the call center in a long time. It has literally changed the way that organizations operate, and its effect on the call center industry has been nothing short of revolutionary. According to Frost and Sullivan, the cloud contact center market is predicted to grow to $3 billion by 2017. More and more call centers are migrating their premise-based solutions to cloud-based call centers and finding that, in addition to delivering on the standard promises of cost savings and scalability, cloud vendors are also leading the way in technological innovations for the call center. Streamlined logins With many on-premise call centers combining solutions from three or more vendors, it’s not unusual for the agent login process to be convoluted and end up driving unnecessary calls to technical support, thereby decreasing the agent’s productivity and increasing the cost of supporting agents. Cloud vendors have leveraged the uniformity of SaaS and can often streamline the agent login process, ending calls to tech support and skyrocketing agent productivity. Live call observation: Because cloud solutions don’t require on-site installations, useful tools such as live call observation for remote agents can be implemented quickly and easily. Rather than relying on a supervisor walking around a brick-and-mortar call center, cloud-based live call observation allows any supervisor working at any location to listen in on any live agent call at any time and give a coaching whisper when needed. Speech analytics Many call center cloud vendors are showing their innovation expertise by setting up internal think tanks to create technology that addresses common call center issues. For example, call transcription and speech analytics tools can provide data insights that can help drive call center quality best practices. Agent verification With a growing portion of call center agents working from home, verifying agent logins has become even more critical. For example, Spoken has developed a voice product that compares an agent’s voice print to original samples to ensure no imposters are logged into the system. Smart IVR IVR is a critical yet often overlooked component to the customer service experience. Current research suggests that, for most tasks, a large percentage of callers prefer self-service rather than speaking to a live agent. Interactive Voice Response is the means by which a contact center offers a self-navigating solution to customer inquiries or problems, but it hasn’t changed much in the last 20 years. Except for this bit of cloud innovation: Spoken’s patented Smart IVR combines the speech recognizer with an online dashboard and a Silent Guide who performs near-real-time corrections to caller utterances, thereby increasing the call completion rates and dramatically decreasing misroutes and opt-outs. Call recording It’s no secret that on-premise call recording is klunky, incomplete and expensive. Cloud vendors improved not only the quality but the quantity and availability of call recordings. And, as mentioned above, many cloud vendors are also implementing innovative analytics programs to suss out even more data and insights from call recordings. 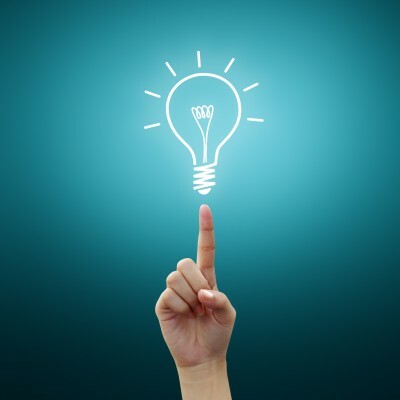 What innovations would you like to see next in your cloud call center? Let us know in the comments!